George McQueen was born at Penshurst in 1874, the youngest child of George McQueen and Jane McAuley. The McQueens moved to Hamilton and lived in Goldsmith Street and George Sr was a grocer. 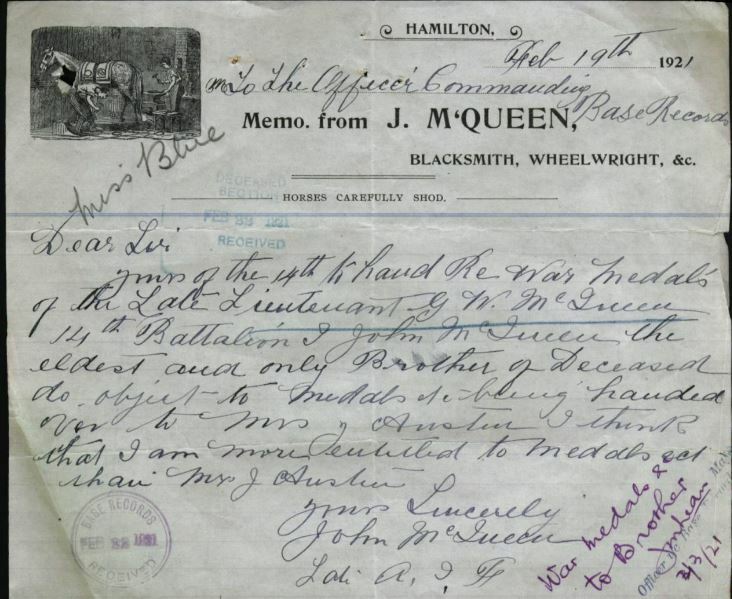 Jane McQueen died in 1907 at Hamilton aged of seventy. In 1912, George Jr was living in Byron Street and working as a salesman. He was a member of the Senior Cadets as an officer and was a member of the Hamilton Rifle Club. In January 1914, George married Ettie Lawrence but just two weeks later Ettie fell ill. She was admitted to Hamilton Hospital but died there on 8 February 1914 aged twenty-eight. Eating unripe apples was given as the cause of her death. 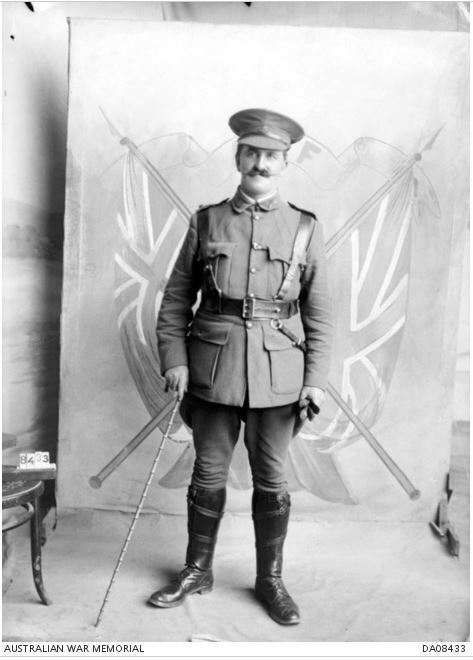 George’s nephew William John Austin enlisted in September 1914 and a month later, George himself enlisted at the age of thirty-seven. While in camp, George posed with some of the other enlistments from Hamilton (below). He left Australia around six weeks later with the rank of 2nd Lieutenant. George joined the 14th Battalion at the Dardanelles on 14 August 1915. He spent almost a month with the 25th Battalion before returning to the 14th Battalion on 12 October. On 22 November, while still at Gallipoli, George fell sick with jaundice and went to the Casualty Clearing Station at Moudros but was moved on to Malta. He was then sent to Villa Medici Hospital at Careggi, Florence, Italy on 11 December and remained there for furlough. On 20 January 1916, after returning to the battalion, George was promoted to Lieutenant and placed on the supernumerary list on 29 February. On 31 March 1916, George’s sister Janie.Austin received a letter from Base Records informing her George’s belongs were being sent home. The family feared the worse until they received a cablegram from George back in Egypt after his time in Italy. He then joined the 4th Training Battalion at Tel-El-Kabir on 7 May 1916. George arrived in France on 14 June 1916 and rejoined the 14th Battalion on 21 July. On 6 August, he 14th Battalion were fighting in the Battle of Pozières until 13 August before moving to Moquet Farm by the 27 August. George’s nephew Glenister Austin, who enlisted in January 1915, wrote home after to his mother Janie Austin after Pozières. Part of the letter was published in the Hamilton Spectator of 12 October 1916. He reported his Uncle George came out of the trenches at Pozières well but thought Gallipoli was a picnic compared to their time at Pozières. Just before Christmas 1916, George went to hospital with influenza and did not rejoin the 14th Battalion until 14 February 1917 at Mametz at the Somme, before moving on to Ribemont on 22 February. They remained there for the first half of March until receiving orders to return to Mametz, before moving on to Beugnâtre, north of Bapaume on 27 March. 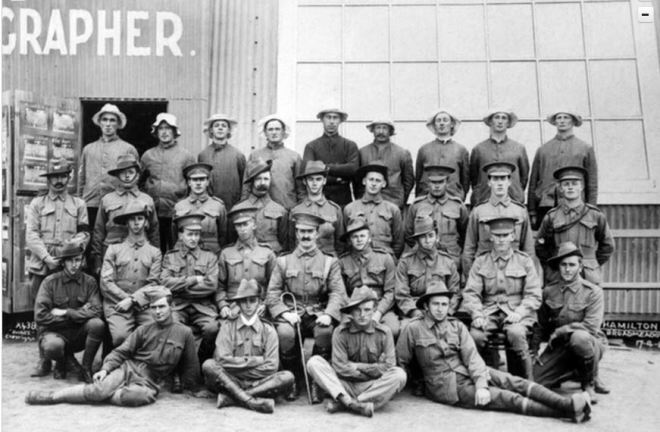 It was the morning of 29 March 1917 and George was anticipating leaving the 14th Battalion that day to go the base training depot as a bomb instructor. At 6:30am, George and three other men were in a cellar used as battalion headquarters. A mine, working on a clockwork device exploded killing the four men. George’s body was not recovered. If his orders had come through a day earlier he wound not have been in that cellar. The Hamilton Spectator published the sad news of George’s death on 11 April 1917. 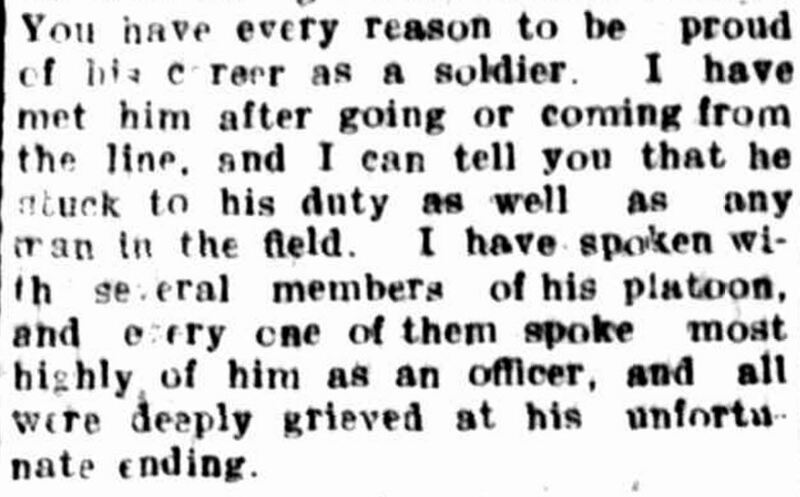 Two months later the Spec published a letter from Sergeant H.J.Henry written to George’s sister Janie Austin. He had seen him on the afternoon of the 28 March and George told him he was leaving the next day to the base training depot. 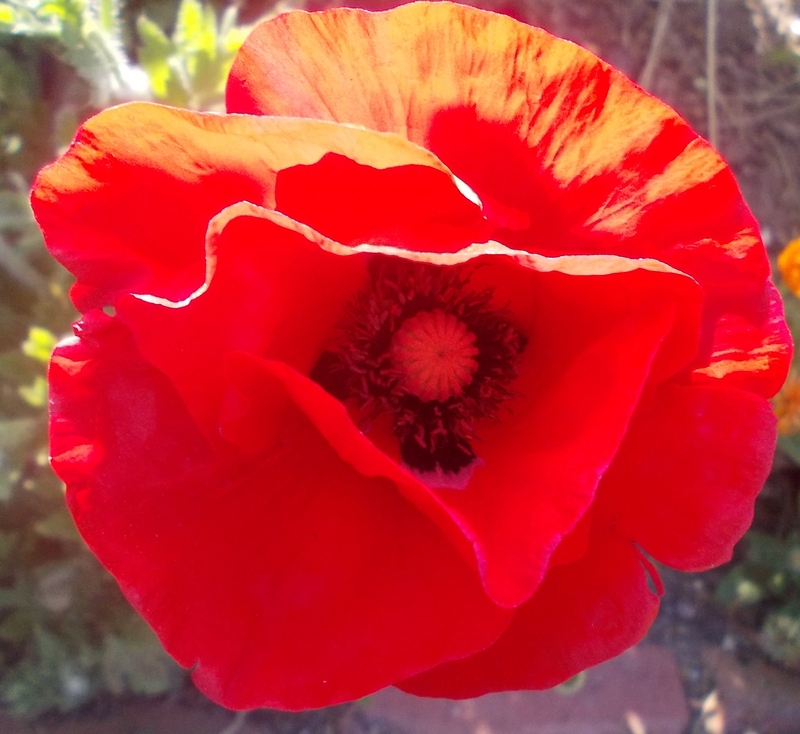 Sergeant Henry described George as one of the most “unfortunate casualties” he had known. “THE LATE LIEUTENANT M’QUEEN” Hamilton Spectator (Vic. : 1870 – 1873; 1914 – 1918) 16 June 1917: <http://nla.gov.au/nla.news-article119851620&gt;. After George’s death, his older brother John who served with the 6th Battalion returned home on 31 October 1917. Then, a year later, George’s nephew and Janie Austin’s son William Austin died in England of influenza on 11 October 1918. Later, the time came to issue George’s medal and most of his 117-page service record is taken up with the correspondence that ensued. Janie was listed as George’s next of kin and expected to receive his medals, however, John put a claim in for them and in the end was successful. It was sad a division occurred in the family has a result of George’s death. George McQueen’s name is on the Hamilton War Memorial and a tree was planted for him along Hamilton’s Anzac Avenue.